Following to the successful of ASEAN in One conference in August 2016, which was held the first time by Duy Tan University. It is the proof of the role for the ASEAN youth in term of contributing the only one community for Southeast Asia countries in peace, stable and development sustainability theme. With the vision and mission to create a “caring and sharing” community, Passage to ASEAN (P2A), a connection between universities and colleges in ASEAN brought out the idea about ASEAN student conference (called ASEAN In One – AIO) – illustrated to ASEAN Summit Conference. In this conference, student from 10 countries in Southeast Asia were representative for each country to exchange, discuss the topics: Standard ASEAN Workforce, An idea study environment for ASEAN student and ASEAN youth in term of environment. These were also hot issues in ASEAN Economic community (AEC) – one of the three main roles of ASEAN community (AC), which was implemented in the end of 2015 with a bunch of opportunity as well as challenges in term of free flow of goods, services, capital and skilled labor. 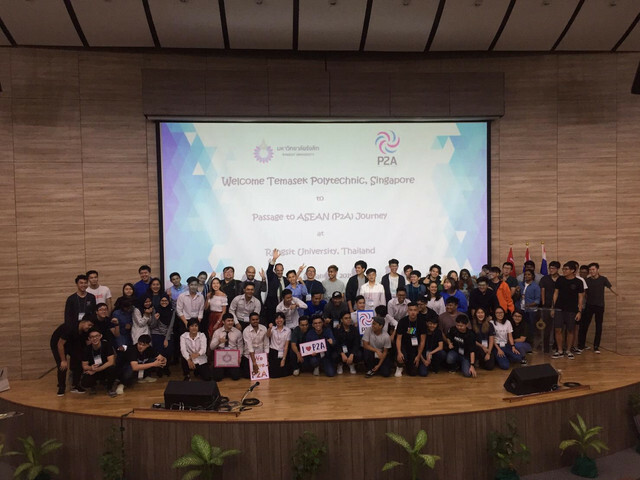 Based on the student-centered approach, Duy Tan University (Danang City, Vietnam) – the first organization hosted AIO and highlighted the role of ASEAN youth in the integration moving. The ASEAN students and the hosted –Vietnamese students – the delighted students in all over Vietnam (got over the competition by Duy Tan University), were discussing, debating the topics. Therefore, the student not only have more integration knowledge, the topics, and issues related to them, but also adding up debating, speaking, and teamwork skills… These are the prepared steps for the youth in the future. The forum ended by visiting enterprises, which was bringing the good opportunity for students to know about the cultures, working places in real. Suteeporn Kraikan, who is a student in Mahasarakham University in Thailand, was discussing the topics about ASEAN. In additions, AIO was a key to develop the connection between ASEAN students, understood about the Vietnamese culture via the activities during that time. The youth ASEAN was playing an important role in the successful of AIO at Duy Tan University. They were not only taking participation, but also were as admins to run the conference. In AIO, Duy Tan University completed their role as well as the hosted. The student guided, supported the others to get over the crestfallen moment for the first time in Danang city. The most impression in this conference was all the students together and set the Vietnam Record Recognition – The LED balloon Map of ASEAN Countries in Vietnam. This was also the delighted moment for the united ASEAN youth. All the students together and set the Vietnam Record Recognition – The LED balloon Map of ASEAN Countries in Vietnam. Moreover, ASEAN youth – the future ASEAN citizen is the main factor in the contributing a succeed ASEAN community. They will become the next leaders in their own countries and for ASEAN. Therefore, they need to have culture, people knowledge as well as recognize the opportunity and challenge in the region. In additions, they also need to have a good connection with the other ASEAN countries. 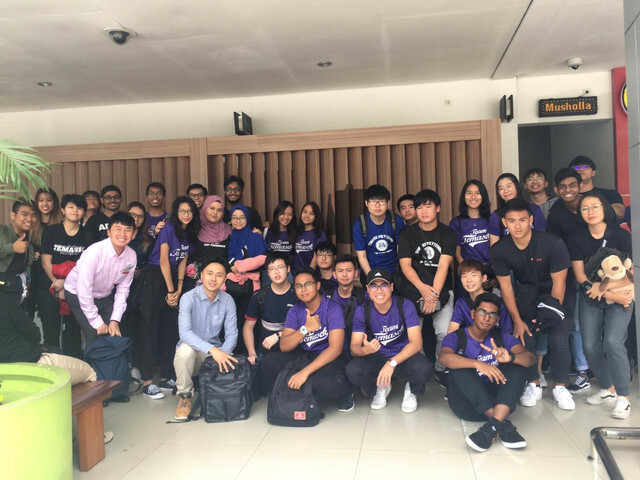 According to Choo Khai Kern, a Taylor’s University student – Malaysia: “AIO is wonderful, it helps me a lot in term of seeing the future of ASEAN in the sustainable development as well as the youth’s role to contribute themselves in the ASEAN community. It was a little pity about the limitation timing so the student didn’t have much chance to discuss more about the region’s hot issue. We hope P2A will continue to organize a lot of helpful conference like this in the future”. P2A gave 2 Best ASEAN knowledge prizes for students. The first prize in “Who is the winner?” game was belonged to Nguyen Dinh Dang Khoa, Foreign Trade University, Ho Chi Minh city. The first prize in “The Secret Game” was belonged to Tran Thi Kim Ngoc, Duy Tan University. The prize was a P2A journey to 1 in 10 countries in ASEAN, worth 9.000.000 VND. The prize was sponsored by Trustpay Company, Dinh Bach Ma Company and Mobifone Danang.